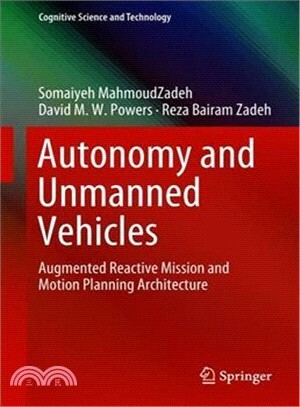 This book addresses higher–lower level decision autonomy for autonomous vehicles, and discusses the addition of a novel architecture to cover both levels. The proposed framework’s performance and stability are subsequently investigated by employing different meta-heuristic algorithms. The performance of the proposed architecture is shown to be largely independent of the algorithms employed; the use of diverse algorithms (subjected to the real-time performance of the algorithm) does not negatively affect the system’s real-time performance. By analyzing the simulation results, the book demonstrates that the proposed model provides perfect mission timing and task management, while also guaranteeing secure deployment. Although mainly intended as a research work, the book’s review chapters and the new approaches developed here are also suitable for use in courses for advanced undergraduate or graduate students. Somaiyeh MahmoudZadeh completed PhD at the School of Computer Science, Engineering and Mathematics, Flinders University, Australia. She is acting as a postdoctoral research fellow in faculty of Information Technology at Monash University. Her area of research includes computational intelligence, autonomy and decision making, situational awareness, and motion planning of autonomous underwater vehicles. Prof. David M W Powers is Professor of Computer Science and Director of the Centre for Knowledge and Interaction Technology and has research interests in the area of Artificial Intelligence and Cognitive Science. His specific research framework takes Language, Logic and Learning as the cornerstones for a broad Cognitive Science perspective on Artificial Intelligence and its practical applications. Prof. Powers is known as a pioneer in the area of Parallel Logic Programming, Natural Language Learning, Unsupervised Learning and Evaluation of Learning, and was Founding President of ACL SIGNLL, as well as initiating the CoNLL conference. His CV includes positions at Telecom Paris, University of Tilburg, University of Kaiserslautern, Macquarie University, as well as work with industry, and commercialization of research through several startup companies. Prof. Powers also serves on several programming committees and editorial boards and is Series Editor for the Springer book series on Cognitive Science and Technology. Reza Bairam Zadeh has been graduated of Electronics Engineering in 2011 at University of Yamagata, Japan. He is experienced in Engine ECU technical coordination, electronic hardware programming, digital circuits designing, designing and testing heavy duty vehicles’ Electronic Control Units (Engine ECU). His main research interests focus on robotics, smart structures, sensor data fusion and optimization, and intelligent control applications.